The Stiga Park 520P front deck has all the features you would associate with a Stiga Park; articulated steering, front mounted cutter deck, hydrostatic drive, a comfortable adjustable seat, adjustable steering wheel and ergonomic controls. It also features mechanical servo assisted steering, another innovation from Stiga which provides extra light steering control so working around obstacles is even easier. 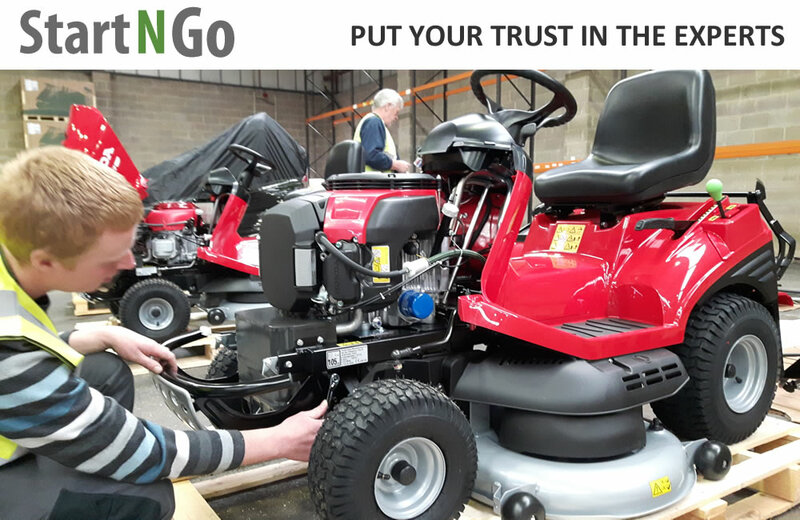 With the Stiga Park 520 P you have a powerful, smooth Briggs & Stratton Intek 4185 engine, excellent all round visibility and it gives a top class finish! Mowing around trees, in and out of corners or under bushes are a breeze as the unique articulated steering system means the rear wheels will always follow the front wheels. There's no need to worry about the back of the machine catching on anything. Please note: This mower comes with a Multiclip Combi 100cm deck with electric height of cut adjustment. Electric height of cut adjustment is a great asset if you have different types of grass areas to mow. If you drive from a lawn to a paddock for example and wish to change the cutting height, simply press a switch to select the desired position.